Measures: Fire Fighters - BRING IT ON. 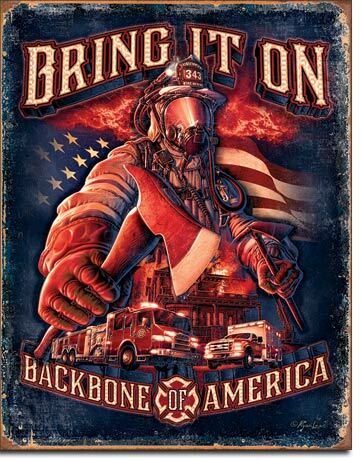 BACKBONE OF AMERICA. Measures 12.5" W x 16" H Signs have small predrilled holes on each corner.